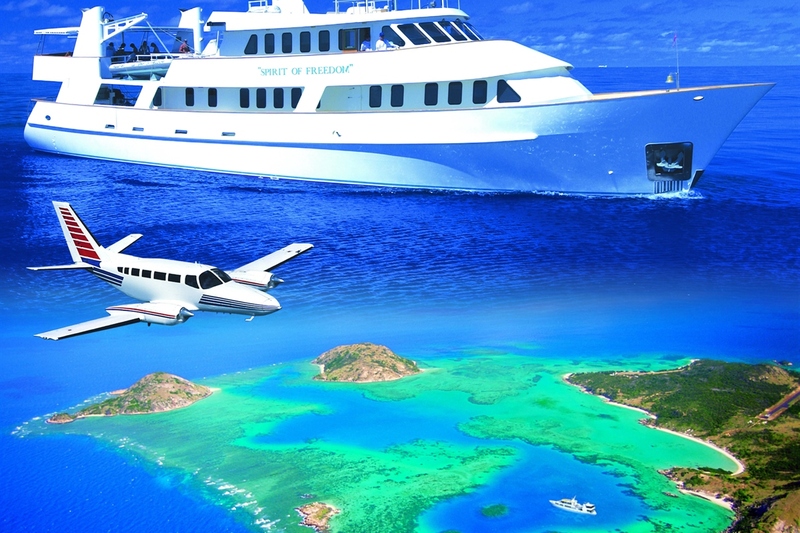 The best way to reach the Coral Sea and Osprey Reef. 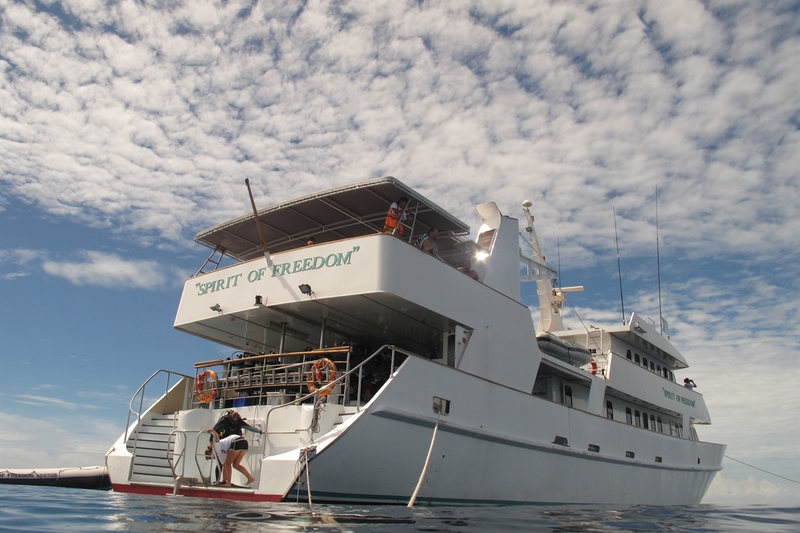 The Spirit of Freedom was custom built for long range cruising and is one of Australia’s largest Liveaboards that offers 3,4 and 7 night itineraries to Northern Australia and the remote coral sea reefs. The length of the vessel combined with its electronic stabilizers ensures maximum sea keeping capability enabling for greater passenger comfort. 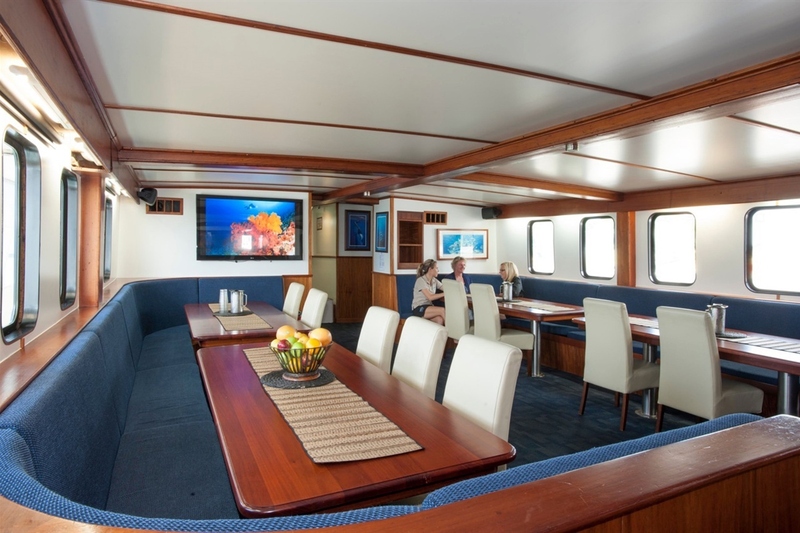 The dining saloon in the centre of the vessel serves as an eating area, briefing area, theatre room and general meeting place for all guests. The lounge is a great place for chilling and relaxing as it has comfortable couches and beanbags along with coffee and tea machines, library, flat screens TV & DVD and a camera work station for photographers. The top deck has open and undercover areas containing tables, chairs, comfortable lounge seating and sun lounges where you can relax, snooze and sunbathe. The ships bar contains a good range of Australian and New Zealand wines, beers, spirits and soft drinks all at reasonable prices. The chefs deliver 3 meals each day including a continental and cooked breakfast, lunch, dinner and snacks between dives. 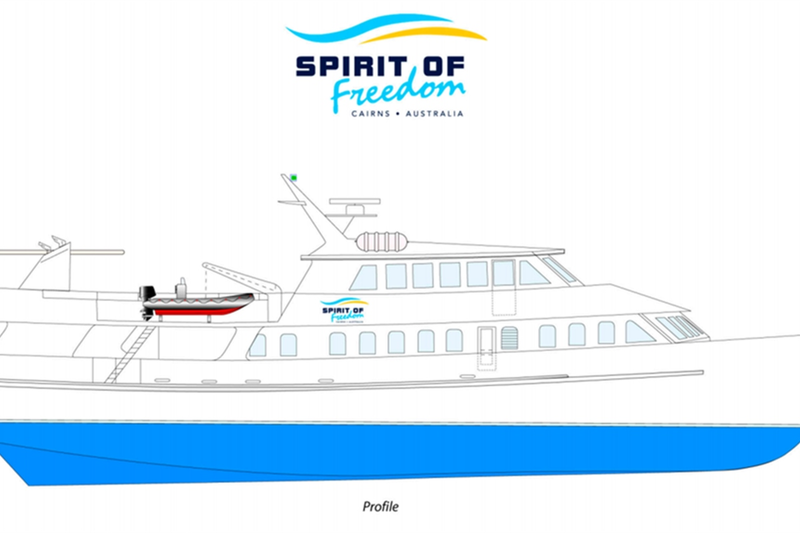 The Spirit of Freedom provides 11 air conditioned guest cabins all with a private bathroom, wardrobe and under bed storage. There are 5 different cabin styles that come with different prices to best suit your requirements. 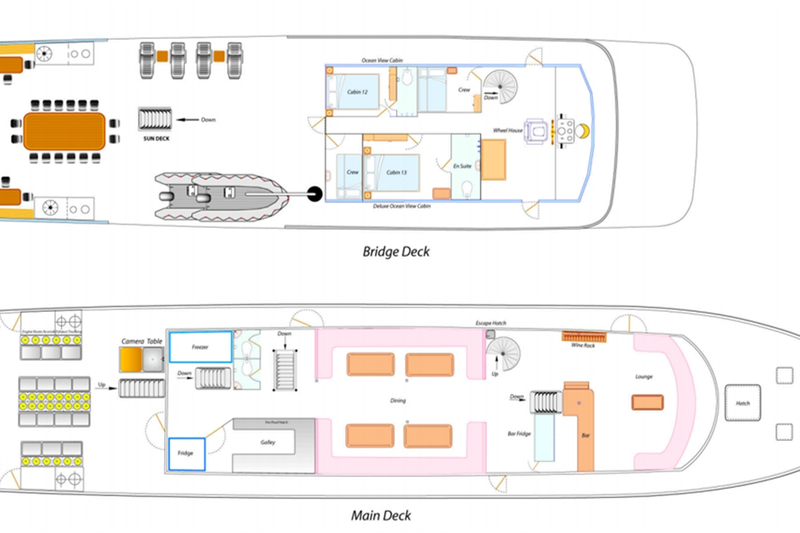 The one ocean view deluxe and one ocean view standard cabins are located on the top deck with internal access to the main deck and external access to the dive deck which both cabins having the same amenities with the size of the cabin being the only difference. The one stateroom is located in a private area on the lower deck close to the dining saloon and dive deck. The six standard double or twin share cabins contain a double bed with a single bed above it in bunk bed style, however one the cabins contain just a double bed. These cabins are located on the lower deck with easy access to the main deck. 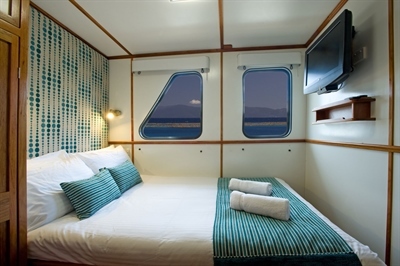 The two quad share cabins contain four single beds in bunk bed style and are located mid ship on the lower deck with easy access to the main deck. 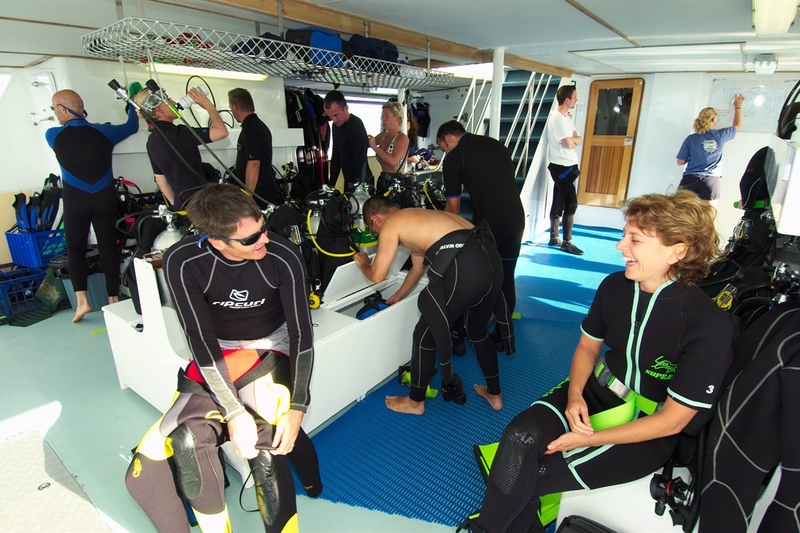 The dive deck contains individual stations for 26 guests with dry storage above and a storage box under every two divers. Air and Nitrox whips allow tanks to remain in their rack whilst supplying air and Nitrox at 32%. 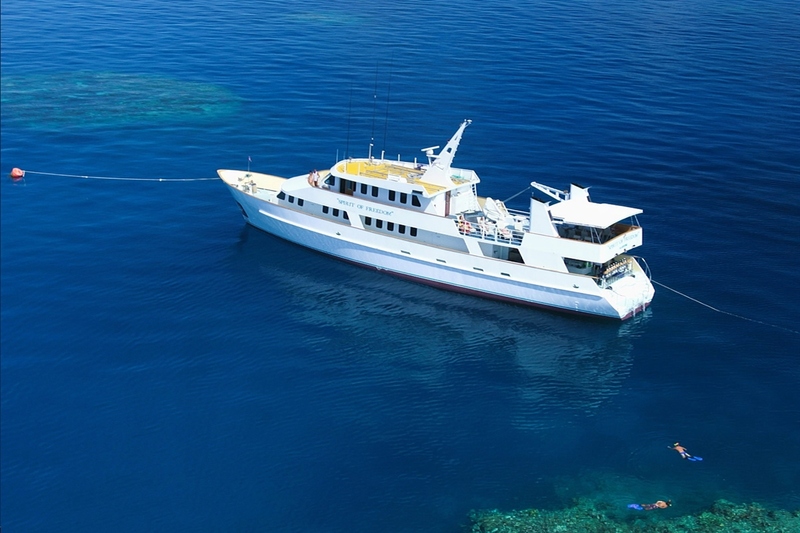 There is a camera wash tub, camera table and air gun for photographers as well as fresh water showers and deck towels which are provided after each dive. The dive deck holds 2 Bauer 21 CFM compressors, DNA Nitrox membrane system, 65 cf & 88 of alloy tanks, uwaterc aladin prime dive computers, individual scuba gear and 3mm &5mm full length wetsuits. 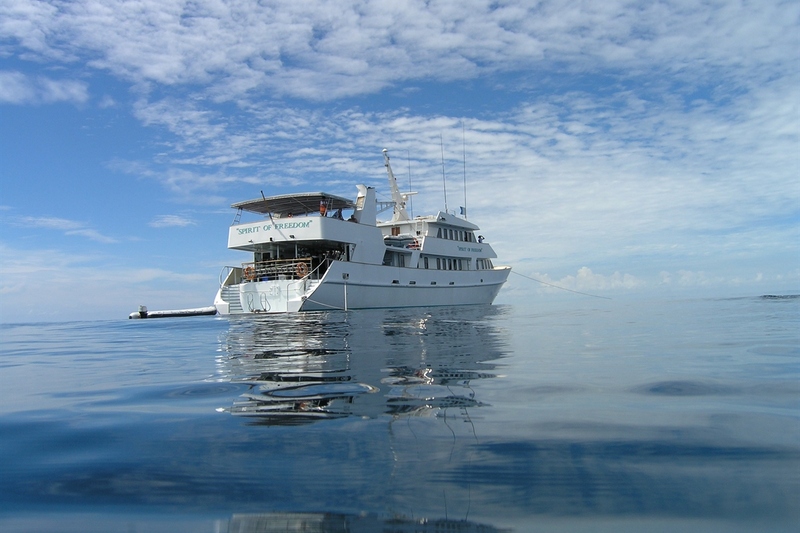 All diving activities are overseen by the trip director which is supported by 3 other instructors and a divemaster who make up the dive team on board the Spirit of Freedom. Spirit of Freedom will endeavor to adhere to the scheduled itinerary, but does not accept financial responsibility for cancellation or adjustment of advertised itinerary due to weather conditions or medical emergency. Trip itineraries are subject to change at the sole discretion of the Master of the Vessel. Spirit of Freedom does not accept responsibility for lost, stolen or damaged property. Trip fees will not be refunded should passengers be unable to board in time for the scheduled departure or be unable to complete all available dives. Spirit of Freedom has 2 quad share cabins, each containing four single beds, bunk style as well as a wardrobe. These cabins are located mid ship on the lower deck, with easy access to the main deck. 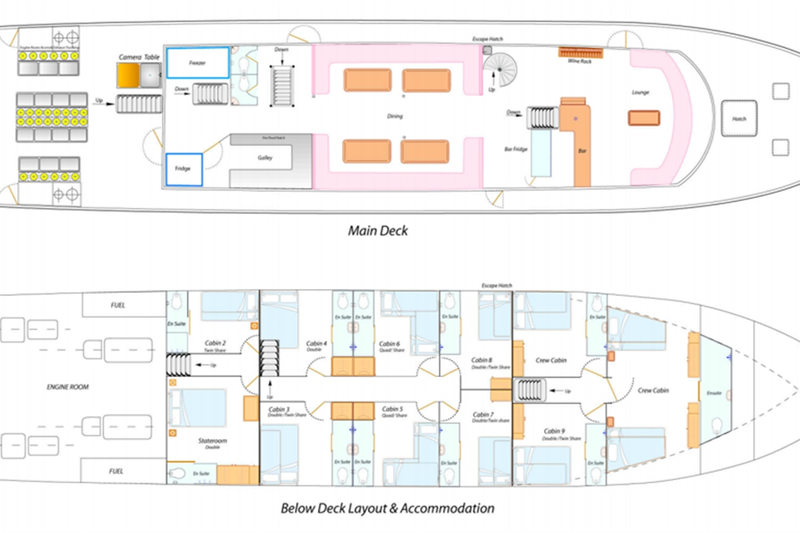 The Ocean View Standard Cabin is located on the top deck with internal stairwell access to the main deck, as well as external access to the top deck and dive deck. It contains a double bed and a wardrobe. Double Occupancy only. 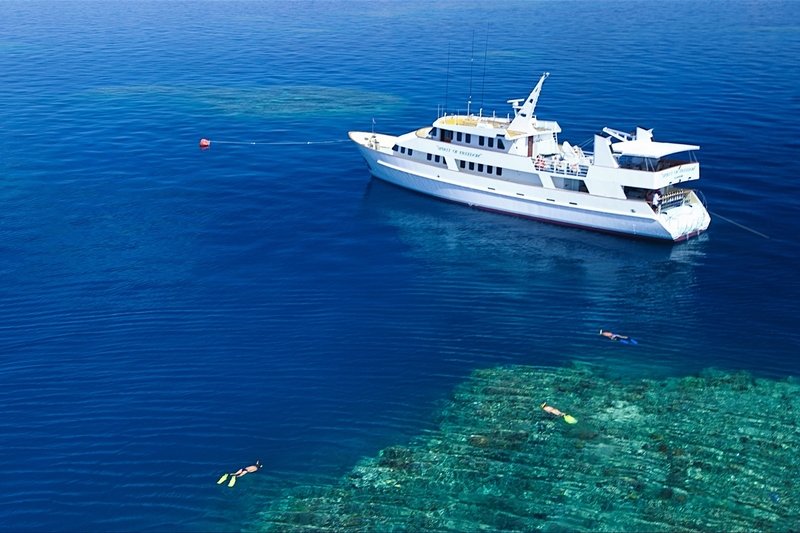 Dive marvellous sites and encounter incredible pelagics on this awesome coral sea adventure! 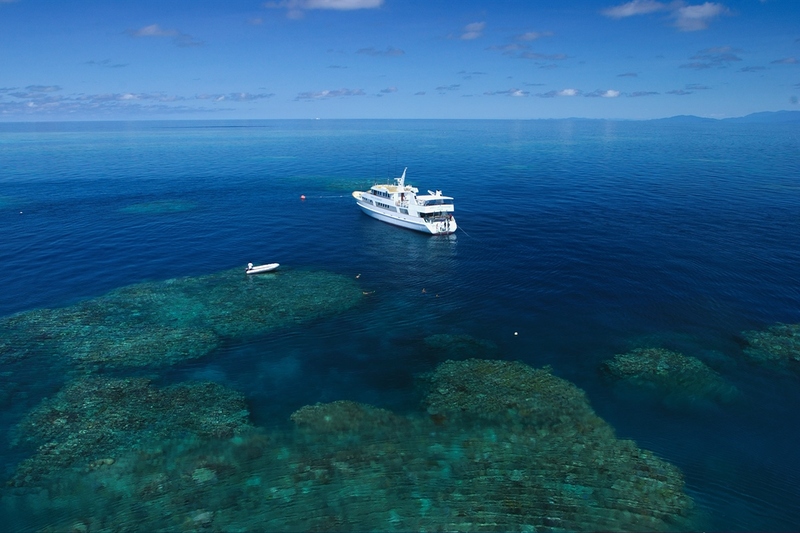 This trip offers the opportunity for up to 15 dives, with 2 days spent at the spectacular walls of of Osprey Reef, an old volcanic atoll. Here, the 1000 metre walls are sure to take your breath away while the shark action and exceptional visibility will make your trip unforgettable. Macro life clings to Steve's Bommie, one of the best dive sites on the Great Barrier Reef. 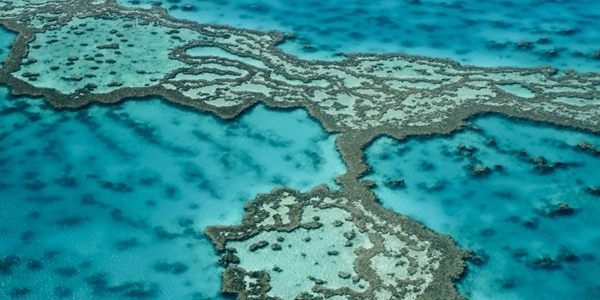 Here, reef sharks, rays and nudibranchs populate the coral covered site. 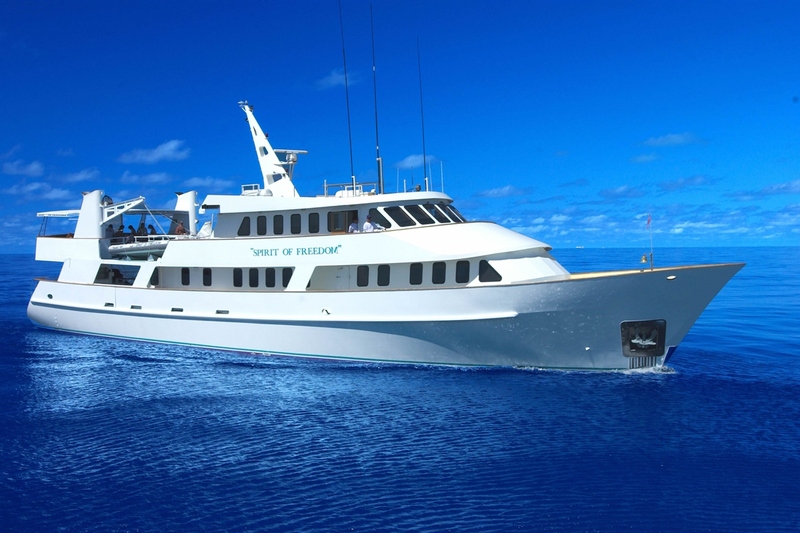 The Spirit of Freedom offers the best in liveaboard dive cruising to the Cod Hole and Ribbon Reefs. She has 11 guest cabins, in four different styles to best suit each guest's requirements. The cabins are all ensuite and airconditioned. The chef prepares gourmet meals Australian style, accompanied by Australian wines & soft drinks in the evenings. 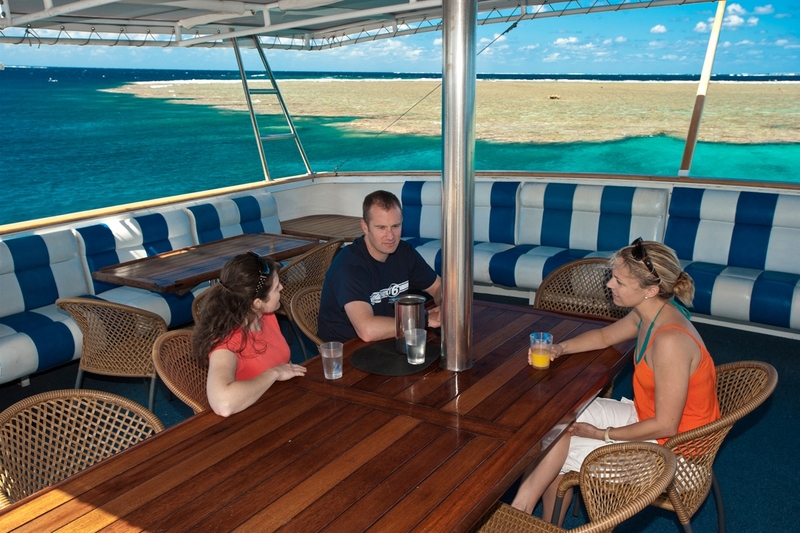 The top deck is a great place to relax between dives or with fellow divers in the evenings, with an undercover and open area complete with tables, chairs and sun-loungers. 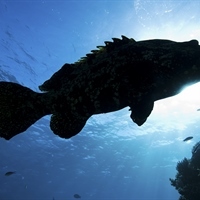 Dive at a range of sites with a variety of fish species and other pelagics as well as colourful coral structures for an extended excellent trip! Four to five dives will be available per day. In addition to the dive sites visited in the 3 day trip, two days will be spent diving Osprey Reef where the landscape is shows sheer walls laced with gorgonians and bright yellow soft corals rising from thousands of feet below. 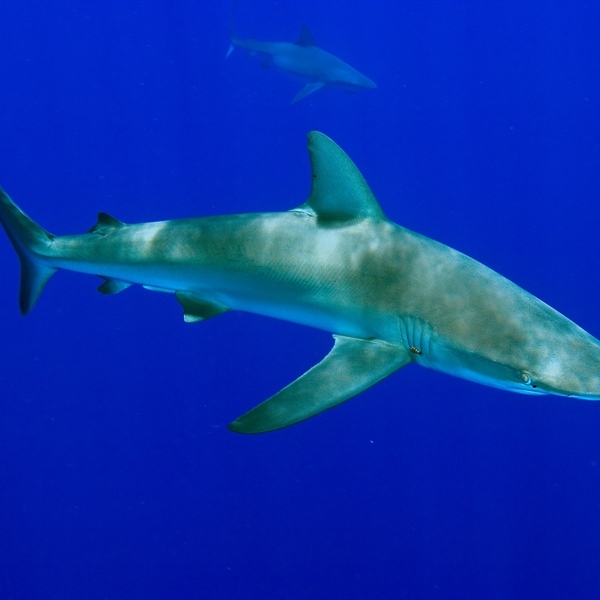 One dive site is North Horn, where grey reef sharks and silvertips are likely to provide a close encounter experience. Another site visited on this trip is the Temple of Doom which is also known as Ribbon Reef no.3 and is a tropical coral reef at a depth of 20m. 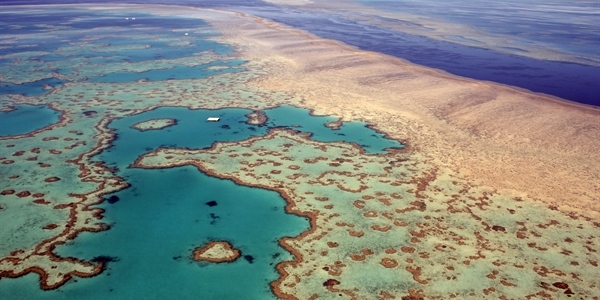 Encounter a fantastic variety of fish, colourful corals and sharks on this awesome Australian trip! Over the 3 days of this trip you will have the opportunity for up to 11 dives and will encounter clouds of colourful tropical fish, an incredible variety of vibrant healthy corals, giant clams, anemones, huge schools of cruising pelagic fish, and a family of giant potato cod. Dive sites and sequence may vary depending on the weather conditions, but will always include at least one dive at the Cod Hole, where you encounter a family of massive and very friendly Potato Cod. Other sites may include Wonder-wall, Pixie Pinnacle, and the Snake Pit, just to name a few. If the current is right, you may also take a drift dive at Dynamite Pass, well known as a channel for sharks to pass through. This dive site is located on Ribbon number five and it offers guests the opportunity to see giant clams in abundance. 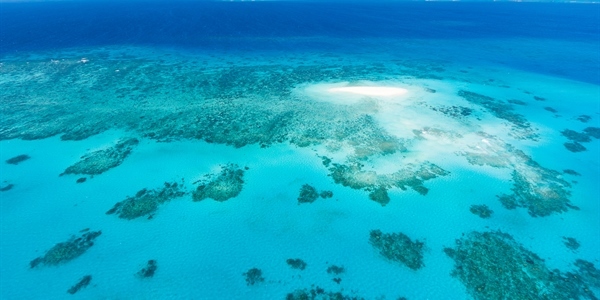 The Flare Point has beautiful pristine coral gardens where cattle fish are regularly seen. 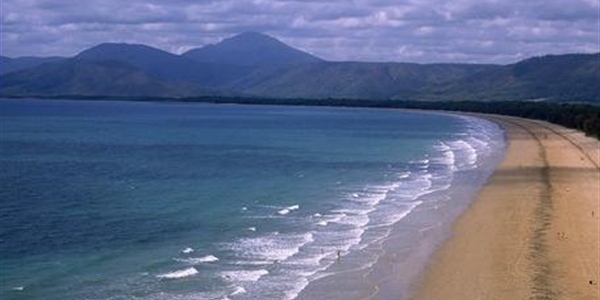 The Lighthouse Bommie is a pinnacle rising from the sand at 30 metres. In the months, of June to August you can enjoy whale sightings and longer encounters than elsewhere in the world. 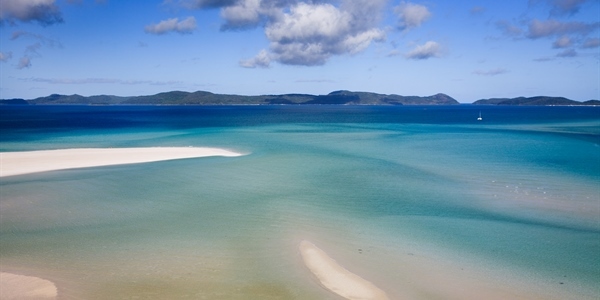 This site is also famous for its olive green sea snakes, turtles, schools of bream and large colonies of anemones. The Challenger Bay is the home of barracudas and many moray eels and clever lionfish, who, are very active at night and have learnt how to use the light of your torch to find their supper. The pixie wall has huge coral formations and neat canyons and caves. This site offers many huge giant clams in a variety of colours, big table coral and schools of goatfish. Other marine life included more batfish, the usual butterflies, angels, clownfish, spotted wrasse in the coral, and lots of triggerfish swimming in pairs. This dive site is located on Ribbon number five and it offers guests the opportunity to see giant clams in abundance. 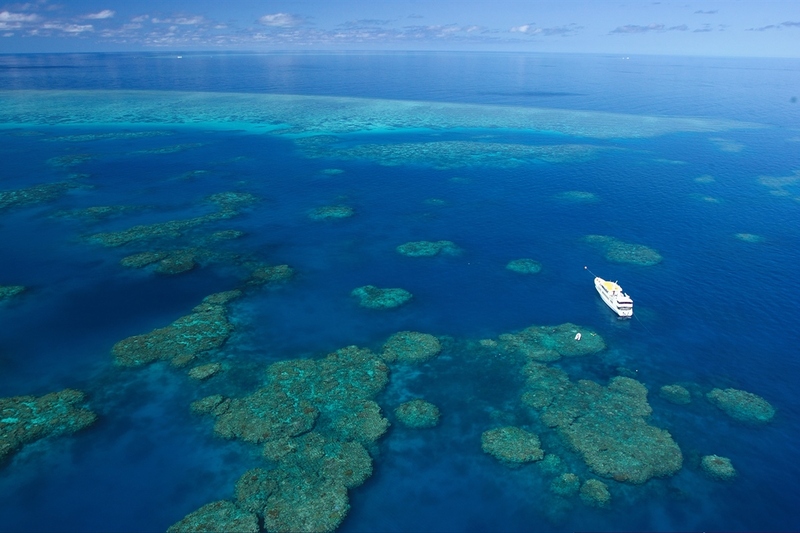 Huge gorgonians and large soft coral species are to be seen here and lots of sharks. Bougainville Reef is very different; it evolved from a volcano that rises up from several thousand metres almost to the surface. It offers some fantastic labyrinths with caves, tunnels, canyons, overhangs and some spectacular drop offs. 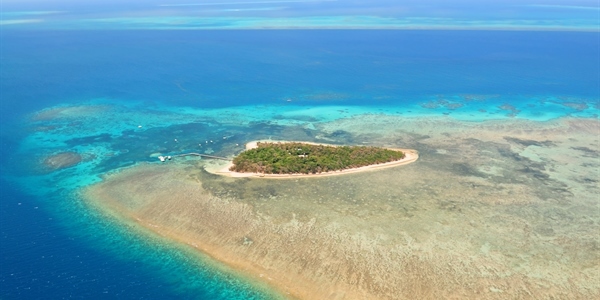 Bougainville Reef is much smaller, than Holmes reef. The Cod Hole is famous for its huge potato cods; they grow up to 3 meters. Here you can enjoy watching your dive master feeding the cods with fresh pilchards in front of your face! If feeding fish is not your favourite activity watch the whole spectacle from some distance. Here divers can also see how some big fish like barracudas are standing by in the back to wait for left over of the feeding. There are also beautiful coral and large schools of the beautiful yellow sweet lip fish.